Those you you have SBS2011 or Server 2008 or 2008r2, you know that the end of life is coming…which I believe is in 2020. You may have also hear that SBS2011 is the final version for Small Business Server. So, if you are a firm currently using SBS, what’s your next options. You can go to Server standard 2016 for your dc, Server 2016 standard for your exchange with exchange 2019. Yes, this can get costly for most small business. For some small business, the cloud is the way to go for exchange. However I’ve also seen it more cost effective to have it on site, especially when you use exchange for other things, such as lots of SMTP outgoing from printers or your database, or you simply have lots of users. Can you imagine switching everything to the cloud, the the following year, your email provider want to charge you $25.00 per month per users and you have close to 100 users? Yes, that can get expensive. Yesterday we had a ticket on our schedule to help customer install a ring doorbell. When we arrived, we realized that the customer had a wireless doorbell. Right next to it, was a face plate that cover where the old doorbell was. My guess is that doorbell stopped working. This can be two reasons, bad wiring or bad power supply. After we trace the cable down, we realize the the customer use to have a phone system install in this home. They had a intercom system tie to the phone system, therefore, the doorbell wiring did not had power to it. This create a small dilemma for us, we ended up ordering a power supply and have to make a second trip just to install a Ring door bell. After installing probably 30 ring door bell, we still are still on a learning curve. Welcome to the IT business! Last week we had a call for a customer that wanted help installing a security system that her daughter gave her as a Christmas present. So we negotiated a deal, and schedule a time to install the system. Yesterday, while installing the system for her, she ask us if we install Ring. I’ve answered or course we do. 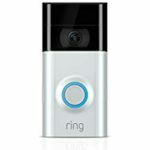 Ring has been a very popular options for lots of home, especially for homes that doesn’t want or need a full camera systems. To be ring compliment most security camera system, as for a small fee, you can have a copy of the what happens in the cloud, in case your home was broken into and the thieves steal the DVR (Digital Video Recorder) or NVR (Network Video Record) in stock, you still have some the recording of the ring in the cloud. Security camera system have came along away. I remember it used to cost thousands of dollars for a simple 4 camera systems. Time have changed. Not only costs have came down, features rich camera systems are the norm. 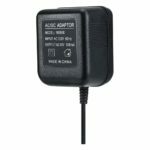 Whether you want color, motion detection with thermal, or monitoring from a smart phone features, most system supports these. With the cost of cameras going down, it had made it affordable for most small business and homes. 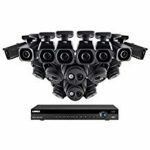 With this being said, check out our security camera deals.